The high price and inconvenience of air travel have spurred companies to look for more cost-effective ways to get people together, and the virtual event is the perfect alternative. The environmental benefits of virtual events are positive side effects of this trend. Virtual events just make sense as a means of offsetting carbon-intensive travel activities. Simply put, they are greener than their real-world counterparts. According to statistics compiled by virtual events and webcasting leader ON24, the typical virtual event with 2,300 participants reduces carbon emissions by some 3,300 tons; an estimated 17,000 trees would be needed to have a similar effect. In addition, the average number of pieces of paper saved by the use of digital documents at virtual events is 36,000 per show. Airplanes, cars and hotel rooms use a lot more energy than the servers and computers needed to run virtual environments. For a large corporate conference, the environmental impact can be significant. Take, for example, Cisco’s Global Sales Experience (GSX), which 19,000 employees attended virtually last September. According to Cisco, the conference kept 84,400 tons of carbon from entering the atmosphere. That’s equivalent to the annual impact of 3.5 million trees. The company also estimates that waste was reduced by 209K pounds, with 211 million air miles saved. AutoWeek recently held its inaugural virtual car show, the AutoWeek Virtual Green Car Show. 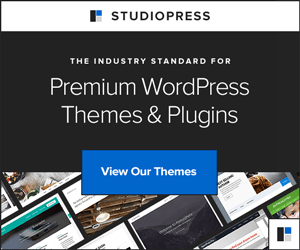 AutoWeek, which has put out a special Earth Day edition annually for the last 20 years, saw the virtual car show as a way to extend its brand, both through content and the utilization of an eco-friendly format. 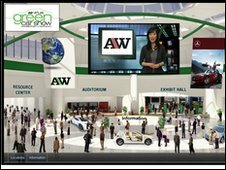 A virtual event is a perfect solution for a green auto show; unlike a physical auto show, there are no shipping fees for vehicles and collateral materials and no transportation or lodging costs, not to mention the benefit to attendees of being able to attend a show like this from the comfort of their homes or offices. Highlights of the green car show were exhibits in a digital exhibit hall; they featured the latest on green power systems and new hybrid and electric vehicles, fuel cells and diesels. The show also provided attendees with access to experts for Q&A and opportunities to network with other green consumers. Fewer travel miles means less pollution, but travel is just part of the environmental impact problem associated with traditional in-person events. For example, with its water usage and the energy costs associated with air conditioning, the hotel industry is an industry with high utilization—and waste—of resources. For all of these reasons and more, going virtual is definitely a way to go green.